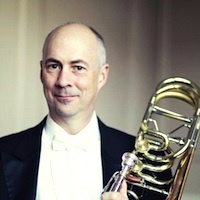 We at Hammond Design are blessed with having so many brass instructors/professors and performers using our product, and we thank each and every one. Why do they use them? Why are they encouraging their students to use HD? Here are just a few to explain Why HD? I have been working with and using Karl's mouthpieces for over ten years and could not be happier with the product he makes and his willingness to help my students and me. On countless occasions he has spent a great deal of time consulting with both me and my students to help us find what will best fit our personal concepts of sound. Most every one of my students who tries one of Karl's mouthpieces is immediately drawn to how easily they play and what rich overtones his mouthpieces can help the students create in their sound. Generally, I will have a student try one of Karl's mouthpiece sizes that is comparable to what they currently play on in the ML or MLX cup models. I often ask them how they like the sound that is produced and how it feels with regard to resistance (how it blows). That usually gives us a great starting point from which to explore his other sizing and cup options. With Karl's vast array of sizing and throat/backbore options, I find it very easy to settle in on what fits each individual student's needs. Whenever a student or colleague is in need of a mouthpiece, I always recommend that they consider looking at Hammond Design. Karl has taken great care in crafting a product that is well-balanced and includes reasonable options in rim, cups, and backbores. I have several options for students to try in my studio, and they ALWAYS sound better when moving to an HD mouthpiece. Karl is knowledgeable and easy to work with, and he will do whatever it takes to ensure that students get what they need at a reasonable cost. Finally, great mouthpieces that come with friendly, experienced help. As a professional musician and teacher it is crucial to have equipment that won't let you down, no matter what. I have had the pleasure of working with Karl Hammond and playing his mouthpieces for several years. What initially led me to Hammond Design was the beautiful sound his mouthpieces helped me produce. What came along with that beautiful sound was an improvement in my endurance, an easier/more even scale, and an improved confidence in my own performance. I have witnessed similar results with many of my students and colleagues who have switched to Hammond Design mouthpieces. The feedback is always the same; better sound, better intonation, and performance becomes more effortless. Because of the positive results that my students and I have enjoyed, I never hesitate to recommend Hammond Design mouthpieces to anyone. You're going to love your sound in HD! I have been working with Karl Hammond for over twelve years. His mouthpieces offer exactly what I want in terms of flexibility and the ability to do many things as far as specific stylistic considerations from Jazz, to Classical, to Lead playing. Additionally I have found that all of my students have improved greatly as far as sound, range and consistency once I fitted each one to the correct Hammond Design mouthpiece. 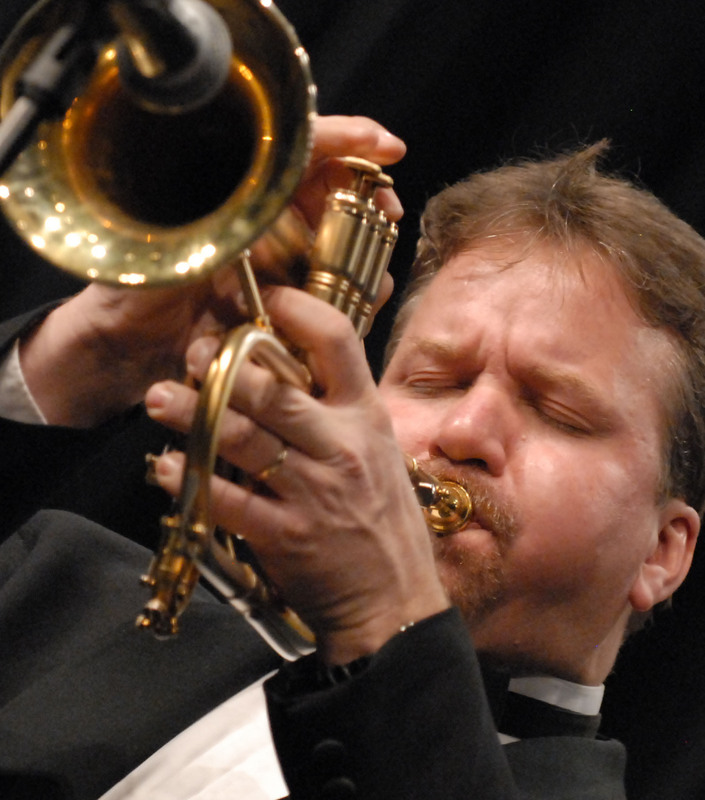 Rob Parton plays Hammond Design mouthpieces exclusively as well as Powell Trumpets built by Fred Powell. Rob Parton is in his fourth year at Capital University. 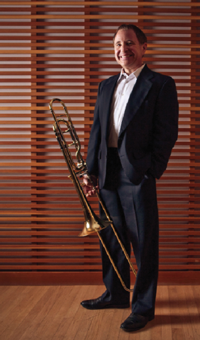 During his time at Capital he has accomplished and cultivated many new relationships in Columbus including performances with the Columbus Jazz Orchestra and with the Columbus Symphony "Pops" Orchestra as first trumpet sub as well as other prominent opportunities. In addition to new relationships in Columbus, Parton has been subbing as first trumpet with the Indianapolis Symphony "Pops" Orchestra and has been doing recordings in Indianapolis with Hal Leonard, other commercial recordings including the music for the new theatre show Disney Live. 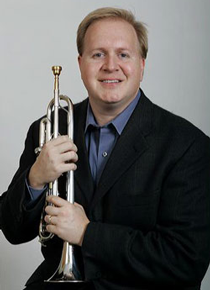 Some of Parton's previous Capital trumpet students are either attending graduate school as trumpet performers in both jazz and classical or they are teaching in the public schools. Parton also continues to run his professional big band in Chicago where its' newest CD has garnered many acclamations from airplay in over thirteen countries to significant airplay in the US. Parton will release his long awaited Christmas CD this year celebrating life long friendships with just about every significant commercial musician in Chicago. The CD has been recorded on and off for over seventeen years! It will feature Columbus' own wonderfully talented Byron Stripling on Deck the Halls as both vocalist and trumpet player! 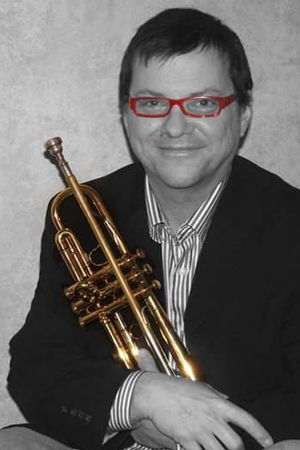 Look for the Rob Parton Big Band COLUMBUS performing live in the Spring of 2014! I've had the pleasure of using Hammond Design mouthpieces years now, both as a professional trumpet player and full-time music educator. Not only have they allowed me to express myself in the most personal and musical way possible, but they have also allowed my ensembles to reach their true potential. I am a firm believer that by providing the best equipment for your students, you are able to spend your time on teaching and not worry about the rest. Karl's mouthpieces are designed to bring out the best features of each instrument and help create the necessary balance so important to all levels of performance. I use them with all of our marching brass and they simply take the guesswork out of the equation. Thank you for providing such high quality work and equipment for the most discerning professionals and music educators! My first exposure to Karl Hammond's creative craftsmanship was actually a gift, from a friend and student, Alan Laschiver. I had been playing a Bach 1 1/2C with a 22 throat and a very open backbore for 20yrs with good results. I had decided to move to a 1C about 2yrs ago, with limited success in getting what I wanted from the slightly bigger piece. Alan was taking notes. He had Karl make a mouthpiece with my 22 throat, his biggest backbore on a 1C, taking an iPhone pic of my inner rim contour, and had it gold plated. And honestly, within a minute or two, I felt that this was what I had been searching for for the last 10 years. The colors that I am able to get with this mouthpiece are simply amazing! The sound is deep, warm, rich in color, with a beautiful brilliance to it as well. Complex! I actually have better range and endurance on Karl's mouthpiece than my old Bach1-1/2C. The sound in the upper range stays much more open than any other piece I've played. I'm home! Thank You, Karl! You've made my job easier, and much more fun. Truly, Thank You! My Hammond 4MLX gives me the response, quality of articulation, presence in the hall, and tone color I want, all the while being more comfortable on my chops. Put another way, I do not sacrifice any one element for another - I get the best of the whole picture. I am an accurate player, but with this mouthpiece I feel as though my accuracy is more intuitive and natural and takes less mental effort, and as I say, all the while giving me the sound I want. 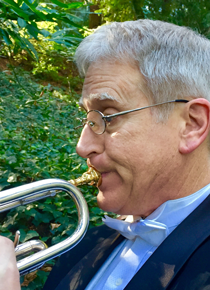 As principal trumpet in the Oklahoma City Philharmonic, these traits are vital, and this mouthpiece makes it all more natural, more satisfying, and more enjoyable. 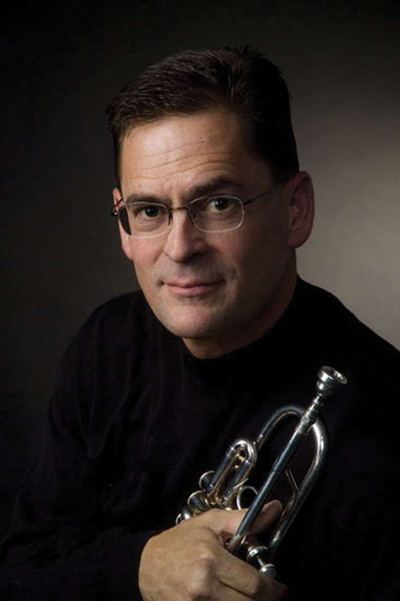 Chuck Parrish began playing trumpet in 1975 and has earned his living as a performer and private teacher for over 35 years. In that time he has performed almost every style of music; from classical to circus, big band to Broadway, and soul to rock and roll. As a teacher he works with students ranging from beginners to professionals. Efficient use of air, smart practice, and passionate performance are vital traits he tries to ingrain in his students. Some of the more notable artists he has performed with are Ray Charles, Stevie Wonder, Jazz at Lincoln Center with Wynton Marsalis, The Chicago Sinfonietta, Jersey Boys, West Side Story, and Aretha Franklin. He performs over 250 shows internationally in addition to a studio of 40 private students per week. Currently he can be seen playing lead trumpet for Maceo Parker: To Ray with Love, a special tribute to Ray Charles, The Ray Charles Orchestra & The Raelettes. 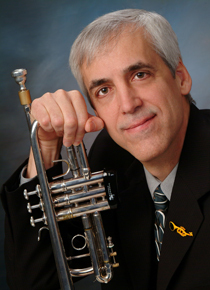 Mr. Parrish holds a Master of Music and a post-masterâ€™s Certificate in Performance from DePaul University in Trumpet Performance. His undergraduate work was done in music at University of Illinois in Champaign - Urbana studying with Ray Sasaki. Chuck is an S.E. 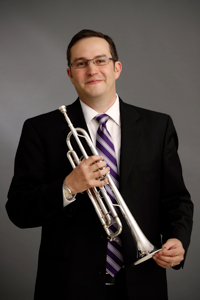 Shires Artist and performs on the handmade Destino III trumpet exclusively. He is also a Hammond Design Artist playing the Chuck Parrish line of custom mouthpieces. I had the good fortune to discover Karl's work even before he founded his own company. I was delighted to find many great options when he launched his range of trombone mouthpieces. I own and play several models, predominately 11ML and 10 ML. They provide very clean and immediate response and a clear , warm tone. I have half a dozen mouthpieces stashed around the world, at the CSO , at NU, at home, in th ce car and at home in Australia. I simply pick them up and use them, confident in their evenness and reliability. No custom work necessary- pick it up and blow. As I say in my teaching - Sempre semplice! Today's symphony trombone players have to be versatile. Most of our time involves performing symphonic repertoire which encompasses a vast array of styles and sounds. We also preform often as soloists and recitalists. I pursue a sound that encompasses the huge depth and weight required at the widest dynamic range, and clarity and beauty in the solo realm. I chose the Hammond mouthpiece because it helps me create that spectrum of sound. The highly efficient design of the Hammond mouthpieces allows me greater ease in range and endurance. I play the 11ML on my large-bore tenor and euphonium, the 14S on my Alto and small bore tenor, and the 20BL on my bass. I highly recommend Hammond Design. We've all had our own personal mouthpiece journeys to find the ONE that works and I'm very happy to be playing this mouthpiece, the Hammond 21BL I find that it works on many different styles of music, from orchestral playing, chamber music, solo or big band. 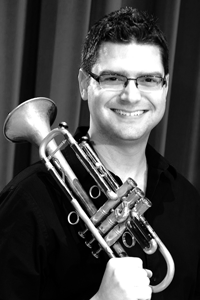 It has enough clarity in the upper and mid range to help me blend with tenor trombones, and at the same time in the low range of the bass trombone, it gives me the ability to blend with the tuba very easily. I find a nice variety of articulations easy with this mouthpiece, while helping me achieve the bass trombone sound that is in my head! When my students embark on their own mouthpiece journeys, as we all have done, I'm very happy to let them take my spare 21BL to try. 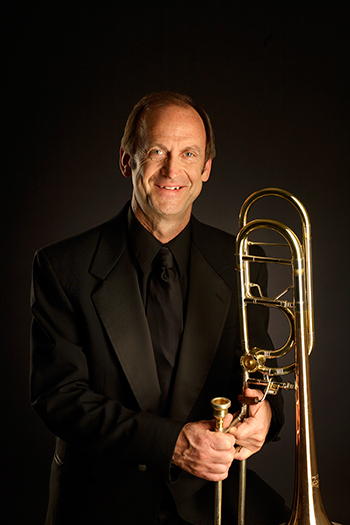 In my opinion, it has the perfect balance of cup depth, rim shape and diameter, and backbore to enable a great bass trombone sound to be produced.